Bruce answers additional questions from his web cast about avalanche safety, his insights, and more! First I should say that I address all of these questions in much more detail in the book. As I said at the beginning of the webinar, I was talking about only a very small portion of what was in the book. I first started answering the questions individually to the person who asked them and it occurred to me that everyone would probably be interested in all the questions, so I’m putting them all together here. What about phone and transceiver interference when using a smartphone app for terrain evaluation? You are supposed to power down your phone while using your transceiver to search but phones are fine otherwise. They don’t interfere with transmitting a signal unless you store the phone very close to your transceiver. When skiing in the woods, how can we best make an assessment whether the slope is safe? Tree skiing often becomes a second option, but how do we know that's any safer? What do we evaluate, tree spacing, etc? There’s no hard-and-fast rule on the anchoring effect and snow stabilizing effect of trees. What has been taught for many years is that if the trees are thick enough that it’s hard to ski through, they probably provide enough anchoring to hold the slab in place. A better answer is that it’s a bit more nuanced. Evergreen trees such as spruce or fir that have branches frozen into the snow provide a lot more anchoring than trees without branches such as aspen or lodgepole pine. Trees also serve to stabilize the snow because they intercept outgoing heat radiation and shine it back on the snow, making the snow surface warmer. They also shed snowballs, which also help to stabilize the snow. So it’s a bit of an art. The bottom line is that if the trees are relatively sparse or if there is an open starting zone above the trees, they are probably obstacles instead of anchors. Do you have an opinion on the European exposure scale (E1, E2, & E3) as reliably measuring exposure or consequence? Actually, this is the first time I’ve heard of the European exposure scale and I just spent 3 ½ months in Europe last summer. So I suspect it’s their name for the Canadian Avalanche Terrain Exposure Scale (ATES), which has become quite accepted and popular throughout the world. The ATES has three ratings, Simple, Challenging and Complex. It’s meant to be used as a general trip-planning tool. The terrain is rated using about a dozen parameters but here is a simplified description of it from the Canadians. I discuss ATES in the book, which works very well as a trip-planning tool, especially in Canada where they have already rated much of their popular terrain. In the US, which is much more poorly funded, we don’t have as many places that have been rated. The only downside of the ATES scale is that it’s meant to be used on a larger scale for trip planning and not necessarily designed for specific slopes. That’s why in the book, I present a simplified way to evaluate avalanche terrain mostly using steepness and consequences. Burial/Rescue question: It should be common knowledge by now that electronics (especially smart phones and other touch screen devices) can significantly impair transceiver transmission and search range. In the event of a burial, do you immediately power electronics down before searching? Call for a rescue first? what are your criteria? Great question. Refer to a previous question about powering down electronics. As for when to call for a rescue, in the book, I describe several scenarios and discuss this in more detail. There has actually been a fair amount of controversy over when to call for a rescue. In Europe, the general algorithm recommended by Manuel Genswein is that if you feel like you can perform a successful rescue within 15 minutes, you should do so, then call for emergency services. I think this is a reasonable rule of thumb. You have to realize that in Europe, rescues are performed by the private sector—like ambulance drivers in the U.S. So they push people to call very early in the rescue process. In the U.S., rescue response is usually quite a bit slower because it’s more rural with longer distances to travel and less cell service. So it’s usually best to perform the rescue first, then call 911 if you feel you will need additional resources. I should also clarify something else in your question: electronics interfere with transceiver searches, not necessarily transceiver signals being sent. So you should always powder down your cell phone when doing a transceiver search. any thoughts on adjusting terrain slope angles based upon the Avalanche Hazard (I.e. Wet Slide potential means reduction of slope angle on Radiation exposed terrain)? Most of the book revolves around the basic concept that you choose appropriate terrain for a given snowpack hazard or danger rating. Seems to be a lot of misinformation, curious your thoughts on Avy beacons for snowshoers using established summer trails in avy terrain? Just because it’s an established summer trail does not mean that you don’t need basic avalanche rescue gear. I have investigated many avalanche accidents on established summer trails. You should practice standard trip-planning procedures that I talk about in the book. I see a cirque as a funnel.... when do you consider a cirque a safe place to ski? 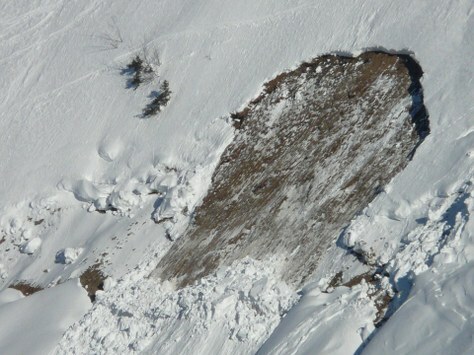 Yes, a cirque is a concave slope that generally concentrates avalanche debris making it more dangerous. But the avalanche game is basically a trade-off between the danger of the terrain and the danger of the snowpack. The only time you can go into dangerous terrain is when you have a very stable snowpack and the only terrain available to you with a dangerous snowpack is safe terrain. Since you can remote trigger avalanche, how far away should you stay from avalanche-prone slope when you're in gentler and/or tree-dense terrain? Good question. There’s no hard-and-fast rule and it’s a bit of an art. After watching many thousand of avalanches through the years, I’ve developed a pretty good intuitive feel for where avalanches will break in different kinds of conditions. This can’t be taught in a book. I suggest to students to go out when it’s dangerous and jump on lots of small, little slopes like a road cut, something 10 feet high or less, until you get a good feel for how avalanches behave during dangerous conditions. Any tips for performing ski cuts on test slopes? Basically, keep your speed up and cross the slope at a 45-degree angle (or thereabouts) aiming for safe terrain, which will be your escape route in case the slope fractures. As you can imagine, this takes quite a bit of experience so be sure to practice a lot in very low consequence terrain. What app do you use to measure slope steepness? The app I use to measure slope steepness is Theodolite, which I think is excellent. The Utah Avalanche Center app also is able to measure slope steepness in its Photo mode using the camera to sight down or up a slope. I’m sure there are many other apps. 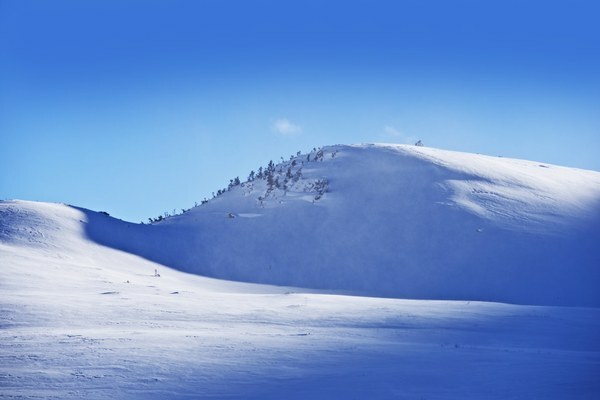 The most important advice is to sight up or down the slope and measure the steepest 10 x 10 meter section of the slope, which is the part of the slope that usually controls whether it will avalanche or not. Thanks Bruce! 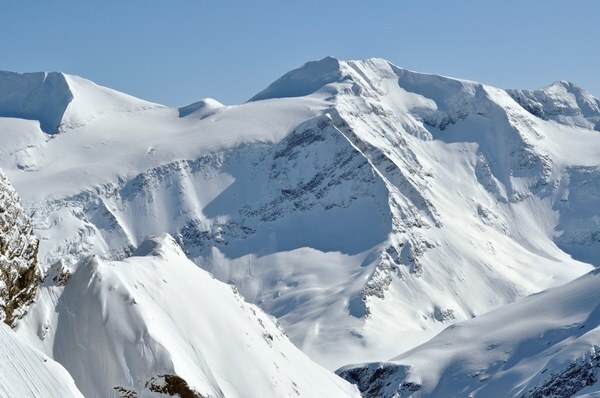 You can see the recording of the webinar here, and learn in greater detail about avalanche safety with Bruce's newest edition of his book, Staying Alive in Avalanche Terrain.